KOG & The Zongo Brigade, led by singer/musician Kweku Of Ghana, have been making Afro-fusion music now for over half a decade. With longtime collaborator rapper Franz Von plus an all-star band featuring musicians from Mansion Of Snakes/Slow Lorris, they fuse traditional Ghanaian music and instruments with Afro-dancehall, electronica and hip-hop. 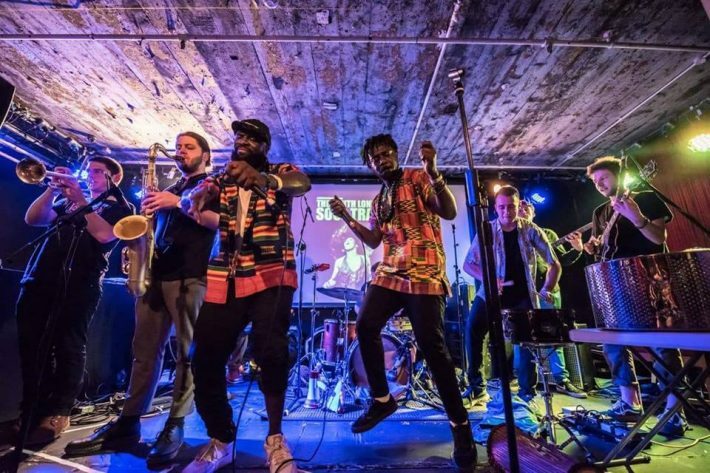 With appearances across the UK and Europe including WOMAD Festival, Glastonbury Festival, Edinburgh Jazz Festival and Millau Jazz Festival France, they launch their debut LP tonight in Leeds as part of a UK promo tour. Come and get some Ghana vibes/Afro-fusion from the UK’s original masters.